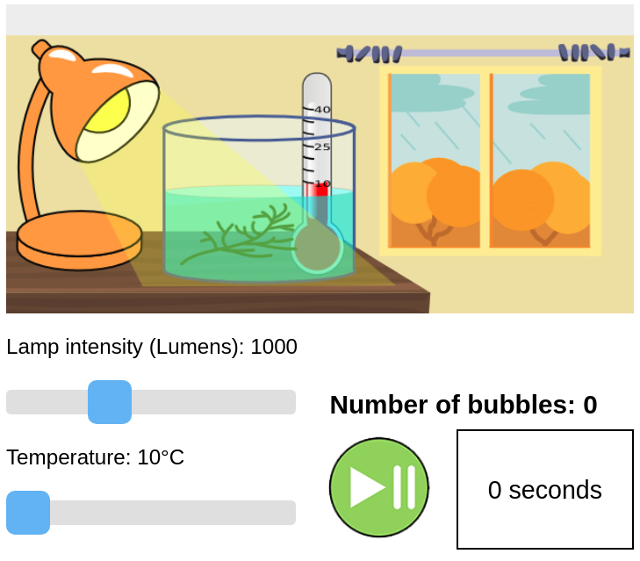 The lab allows a user to vary the light intensity and temperature conditions of an aquarium plant and observe how fast it is photosynthesizing. The number of oxygen bubbles the plant releases per minute is a measure of the rate of photosynthesis. The rate of photosynthesis will increase with increasing light intensity. However, at high intensities the rate of photosynthesis does not increase as quickly anymore. 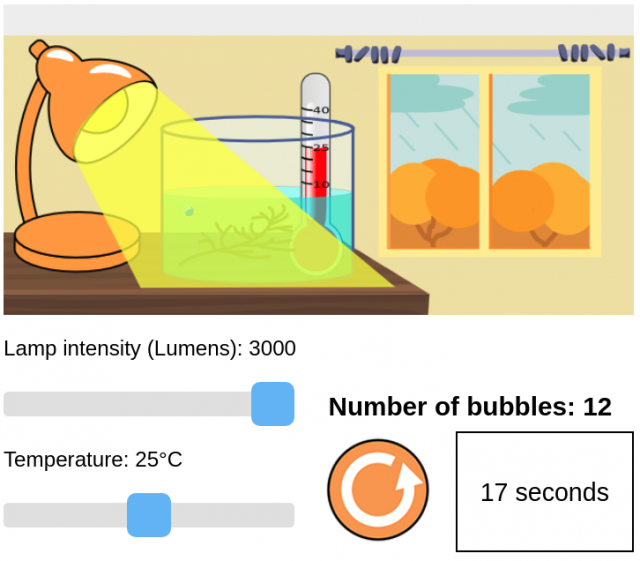 The rate of photosynthesis is optimal at room temperaure (25 °C). At low (10 °C) and high temperatures (40 °C) the rate of photosynthesis is not as efficient.